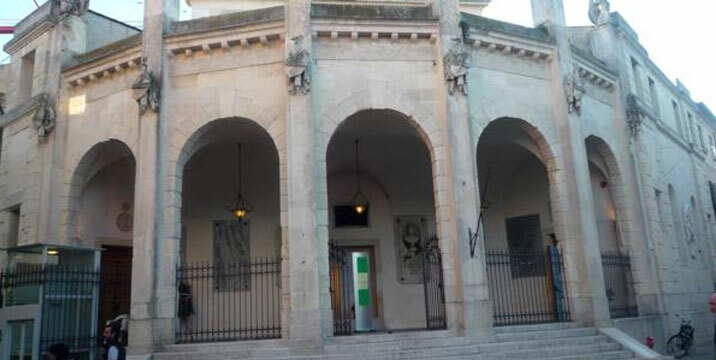 The particular structure that closes the southwest corner of the Piazza Vittorio Emanuele II, at the intersection with Via Cesare Battisti, is the former Austrian Guard House. Built between 1853 and 1854 based on a design by Giovanni Battista Meduna, the building is striking for the unusual angular perspective. 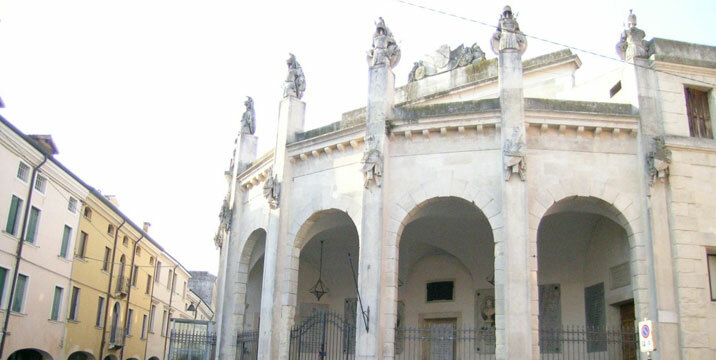 The structure is characterised by a peristyle, an open courtyard, with six arches separated by pilasters, surmounted by pillars that support statues with military trophies. 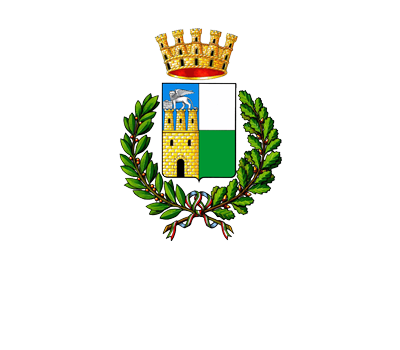 The frieze, ornament, depicts the province of Rovigo flanked by the two rivers Po and Adige. The imperial eagle surrounded by military trophies was placed above the attic and, in 1866, when Rovigo was annexed to the Kingdom of Italy, the Savoia coat of arms replaced that of the Habsburg. The Austrian barracks went into operation December 31, 1854; in 1880 the Province gave the property to the City that, in the early years of 1900s, decided to allocate it to patriotic memoirs of Rovigo. After World War II the interior was completely re-arranged, the main entrance was walled and in its place a plaque in memory of those fallen in the World Wars was placed . The monument on the north side of the building, dedicated to Cesare Battisti, is the work of the sculptor from Rovigo Virgilio Milani. 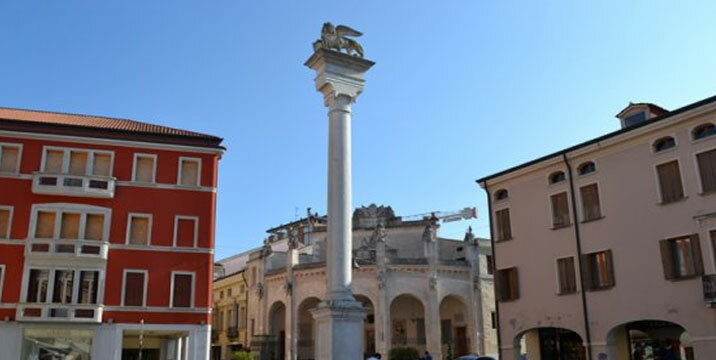 On 6 February 1508 the city council unanimously decided to erect in the Piazza Maggiore the column with the symbol of the Serenissima republic of Venice. After many vicissitudes, the monument was built only in 1519, by Antonio Scarpagnin, as passed on by the documents of the time. The monument is located where it was originally placed and according to chronicles of the time, the lion was gold plated. The coats of arms of the city and of the Podesta (chief magistrate in a medieval Italian municipality) Giovanni Corner can be found on the pedestal. In the XVIII century it became the meeting point of merchants who built shops around the it. The symbols of Venice, the Lion and coat of arms of the Corner, were removed May 12, 1797, by the French troops upon arriving in Rovigo. Later, in 1818, the need to restore it arose and many years later, in 1881, the Lion was remade by Natale Sanavio.